Even though it’s getting chilly outside and snow will soon be on the ground, it’s never too early to purchase a used ATV in Michigan or a used motorcycle in Michigan. Take advantage of low prices at USA Powersports and stock up for the spring and summer, where we have plenty of used motorcycles for sale. There are grassy green areas and miles and miles of countryside all over Michigan, perfectly apt for taking your used sport bike or used motorcycle through to cruise around and enjoy the spectacular sights. As many Michiganders know, the state is also riddled with hill climbs, woods trails and water crossings which can be exhilarating to ride your ATV on. So make sure you buy a used ATV in Michigan this winter or spring. Motorcycle buyers or ATV buyers in Ohio looking to get out and ride next year when the weather warms up should be aware that there are a wide range of ATVs to choose from if they are looking to buy a used ATV in Ohio. 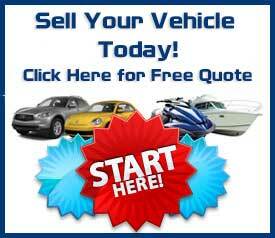 We have all the top brands of used ATVs and used motorcycles. Whether you’re looking to purchase a used Suzuki, a used Honda, a used Yamaha, a used Harley Davidson or a used KTM, we are your one stop shop. No matter if you are a lifelong motorcycle enthusiast or are new to the game, you’ll want to check us out if you are in the market to purchase a used motorcycle or ATV in Michigan. As the year winds down, there are a plethora of reasons to buy a used ATV in Michigan or Ohio or buy a used motorcycle in Michigan to take home and call your own. 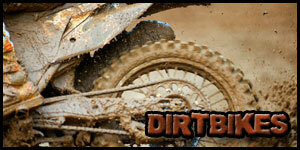 Located in Dundee, MI, USA Powersports has all the best used motorcycles for sale. We also have a nice selection of used sport bikes, used crotch rockets, used snow mobiles, used PWC’s, or even used golf carts. Contact us today! 1-800-963-9216.